What is the best eye cream for dark circles and bags? 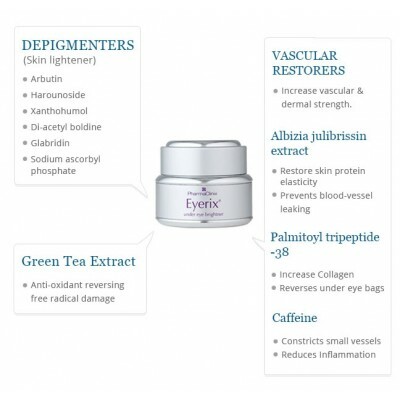 Eyerix® is the only professional formulation to not only treat the dark circles under the eyes, but also to reduce bags under the eyes in ethnic skins. 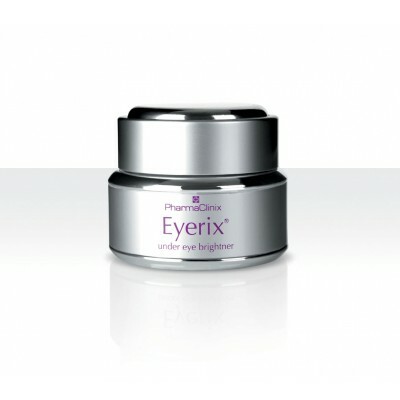 After cleansing the face, apply Eyerix® around the eyes twice daily. Contains kojic acid, which is proven to lighten the skin by inhibiting the production of melanin. 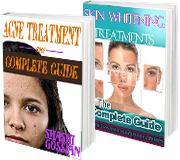 It is the accumulation of melanin that causes darker skin colour. It multiplies the production of collagen (a skin protein) and elastic, thereby improving the skin smoothness and elasticity and slowing down the wrinkling process. It suppresses inflammatory enzymes, therefore decreasing puffiness, swelling and signs of fatigue. It strengthens capillaries, arteries and veins, thus reducing leakage and colour lines. Obstructs histamine formation, therefore reducing any allergic reactions.